Sugar is not your best friend at the healthiest of times. It is well known that doctors often advise people against eating too much sugar or sugary foods. And no matter what reason you give up sugar for – be it diabetes or a fit body – you also give up taste. No matter what you do – if you give up sugar for any reason, you are always going to feel the lack of it. Right? Wrong! Because with the new Quik Tea Unsweetened range of products you will never again be asked to compromise. You can have the best of tea and coffee and all without losing out on the flavor. The ultimate aroma and taste of the best tea of India is not just retained but enhanced in this unique effort to combine health with taste. With Quik Tea Unsweetened Masala Chai Latte, you will never again feel the need to crave for just that little bit of sugar. That’s a guarantee! 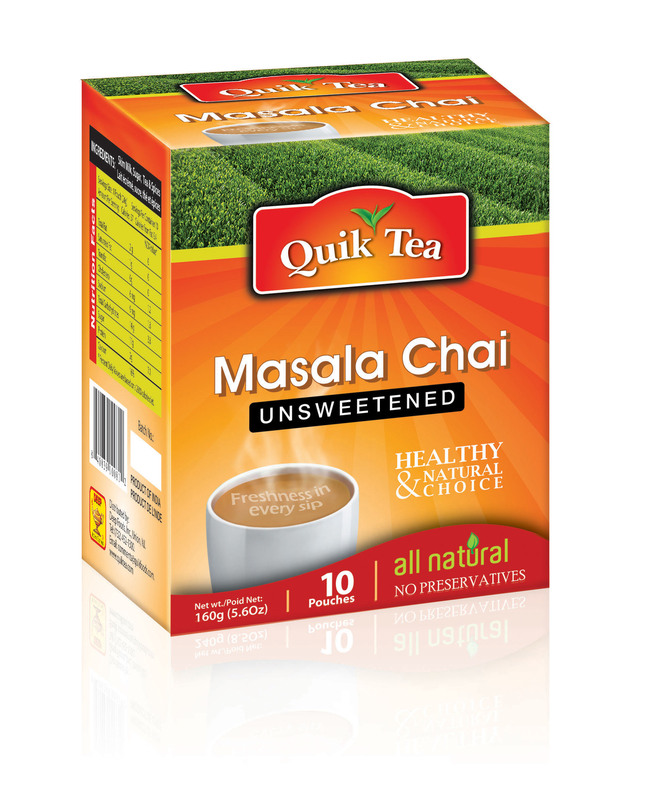 Quik Tea Unsweetened Masala Chai latte is the result of months of hard work and specialized research into getting the best of both the worlds – health and taste. Our team of experts have striven to maintain the good taste of a hot cup of Masala Chai tea while also improving its health benefits. So now, along with the fact that your cup of sugar-less tea tastes better than ever, you can also enjoy all the health benefits of having a tea without sugar with its natural medicinal values. The best tea leaves specially grown in India’s richest tea-farms are mixed in ideal quantities with the seven special Ayurvedic ingredients of Masala Chai Tea like Cinnamon, Clove, Cardamom, Ginger,Pepper and Fennel for our discerning Quik Tea customers. We also take optimum care to preserve the aromas of all the spices along with the health benefits which they bring to your Masala Chai Tea cup. Quik Tea’s packs are conveniently packaged for you to get the maximum benefit of ease of use and great flavor. Just pop a pack open, pour the ready mixture of special Masala tea already blended with skim milk powder, add hot steaming water and that’s it! Your special unsweetened Masala Chai Tea is ready to drink.This mixture especially comes in handy when you are at work or while travelling. You can enjoy your beloved Masala Chai anytime.